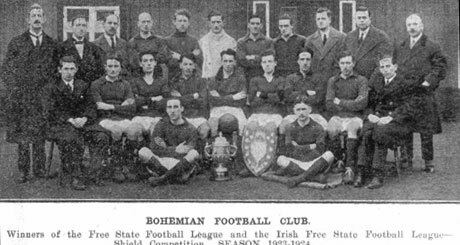 An educational discussion between a distinguished panel of sports historians on Bohemians involvement in the origins and history of League of Ireland football. Recorded at Phizzfest by Andy Donlan. Donal Fallon (‘Come Here To Me’ blog), David Toms (UCC), Paul Rouse (UCD) and Brian Trench (Bohs PRO) were the speakers on the day, and the discussion, chaired by History Ireland’s Tommy Graham, was recorded by bohemians.ie contributor Andy Donlan.